Welcome to Clyde Wraps (Vehicle Graphics) Homepage. We are a leading provider of vehicle colour change vinyl wraps and digital vehicle wraps and graphics. Combining high resolution digital printing, experienced professional graphic designers and meticulous installation crews. Clyde Wraps generate products that are unparalleled to those of our competitors. Unlike the majority of our competitors, we have an in-house graphic design department that can visualise how your car, van, bus, truck – in fact any vehicle for that matter – before producing high end artwork that has to be good enough to be printed at such a large format. 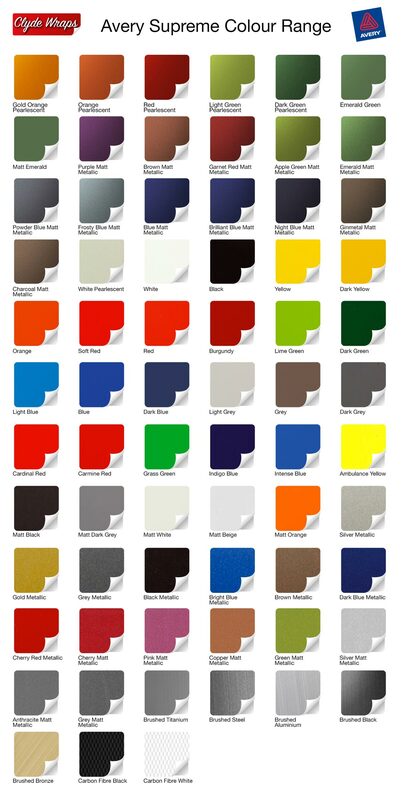 Why not personalise your car by changing the colour to what others do not have with a Colour Change… choices from clean Whites, Metallic Silvers, Pearlescent Effects, Matt and Satin Finishes, Carbon Fibre, Textured Vinyls and many more. For peace of mind, we are Approved Suppliers and Fitters of Avery and 3M Graphic Materials to ensure a perfect fit and finish as well as back up to restore, repair or replace your vinyl should anything require changing. Why not wrap your car? 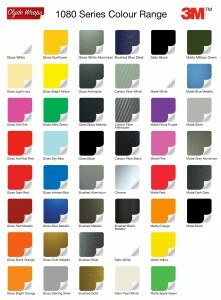 We can change the colour of your car in around 24 hours. From Black to White, Green to Pink, our high quality wrapping vinyl is put on by our experienced, professional staff. Popular choices at the moment are Pure White / Matt Black / Ford Focus ST Green or ST Orange wraps or you could go for the stealth look of Matt Black. We have hundreds of different colours to choose from. As all the vinyl films that we use are fully removable, you can remove it to reveal the original paintwork underneath whenever you would like a change again. The vinyl not only protects the vehicle from chips and scratches, but it totally changes its colour. It looks just as though the vehicle was that colour direct from the factory. We can take your vehicle or fleet and transform it into a masterpiece that is guaranteed to give your company lasting brand recognition. 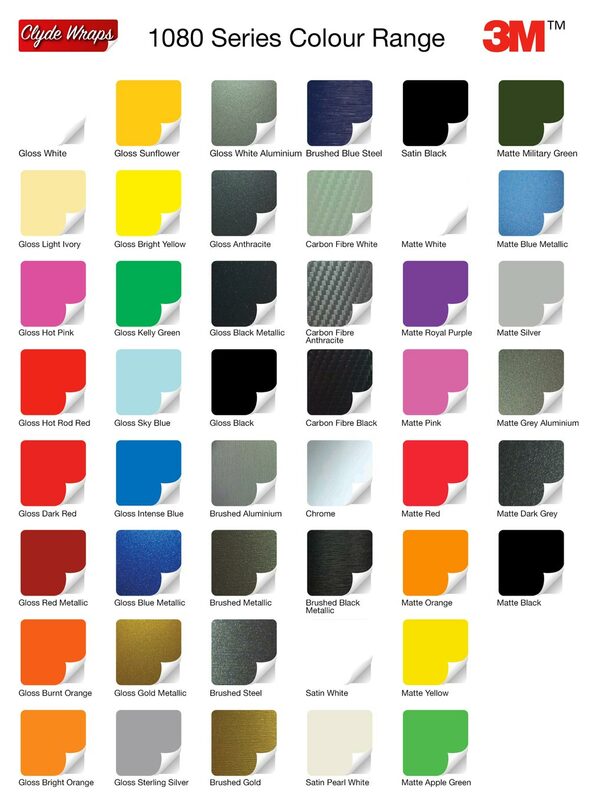 Clyde Wraps offer numerous vehicle graphic formats including: Van Wraps, Car Wraps, Truck Wraps, Vehicle Fleet Branding, Overlay Digital Decals, Vinyl Decals, Vinyl lettering, vehicle colour change, carbon fibre effect vinyl or matt black car wraps, one way vision window graphics and more. Vehicle advertising generates tens of thousands impressions a day per vehicle, yet it costs only a fraction of radio, TV or billboard advertising. Large corporations have been using vehicle advertising on their fleets of vans, truck and cars for many years, and now smaller businesses are beginning to realise the cost effectiveness of a vehicle wrap. If you’re searching for a new look for your business, or if you would like to be the talk-of-the-town, you’ve come to the right place. We can customise a wrap to fit your style and flare that is guaranteed to draw attention to your business everywhere you go. Clyde Wraps is a division of Clyde Taxi Advertising who supply advertising for London-style taxis not only in Scotland but, throughout the UK. Visit the Clyde Taxi Advertising website www.taxiadvert.co.uk to see examples of our work and find out more on taxi advertising.